It’s Halloween, and of course, we need to publish something Halloween related! There are many creepy and dangerous jobs that exist. The people who specialize in these types of careers often deal with things that aren’t seen in typical office jobs. The job descriptions can go from working in the dark for long hours to dealing with dead bodies, and event killing pests. You have it all! If you think you are struggling to find someone to fill your role for a financial or an IT position, imagine how hard it would be to convince candidates to accept the creepy jobs. This is certainly not for the faint of heart. This job is not often seen on TV. The CTS Decon technicians are the ones who clean up the aftermath of crime scenes. With that being said, they will need to do the following: clean up the blood, leftover tissues or body parts of the dead as well as perform the decontamination of hazardous materials. So you can imagine, the person needs to clean the blood off the wall and pick up pieces of brain tissue while making sure nothing is forgotten… that’s pretty gruesome. 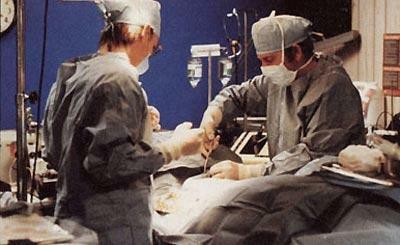 What do Cryonics technicians do? Cryonics is the low-temperature preservation of a human corpse. So the technician will be attempting to preserve people who are legally dead so they can revive them in the future when medical advancements are able to restore life. This job generally consists of preserving the head. Is this really the key to immortality? If you think about it, this could be a scene straight from a 90’s horror movie! Unlike the other two, you’ve heard of miners before. However, you might be thinking to yourself why it ended up on the list. Miners need to work in the dark and in tiny areas, so if you are claustrophobic, this won’t work for you. Miners do not need any education but it takes great courage to continuously work hundreds of feet underground in tight and dangerous spaces. Hats off to them! Just like miners, Field epidemiologists are often exposed to hazardous work conditions. The epidemiologists are sent on missions when a new disease breaks out. They will need to search and study the virus while it develops in real time. The worker is exposed to germs, blood and dead bodies and is only protected by a hazmat suit. We hope they do not come in contact with the diseases they’re exposed to. They risk their lives to find ways to prevent and protect our people from breakouts. Without the Field Epidemiologists, a zombie apocalypse could potentially occur. 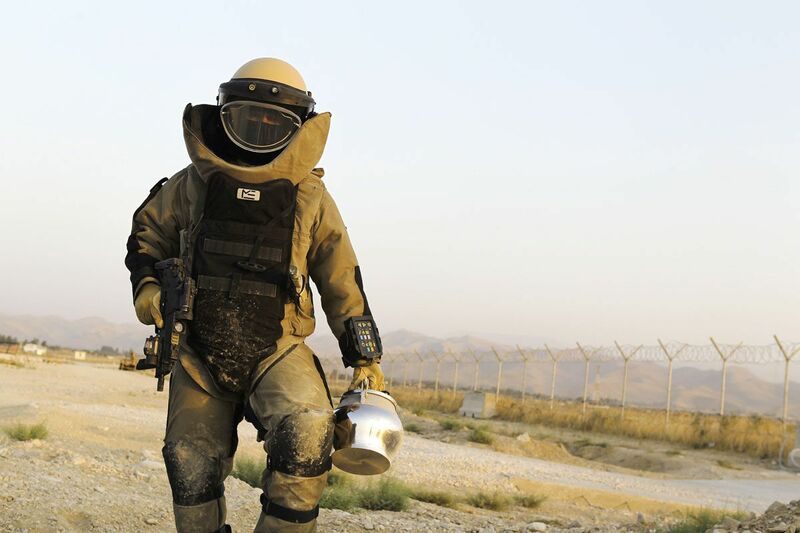 Bomb Squad technicians have pretty straight forward job descriptions. They detect bombs in fields and deactivate them knowing they can be activated at any time. Just think of when you played Minesweeper back in the 90’s and how the game made your palms sweaty. Now this, you have certainly seen in crime shows. Most of the time the Forensic entomologists on TV look at ease with their jobs. Generally, the corpse we see on TV doesn’t look decomposed but rest assured it’s much worse in real life. Forensic Entomologists study the invasion of the succession pattern of arthropods with their developmental stages of different species found on the decomposed cadavers during legal investigations. This means that the specialist will find insects on the corpse and study them for criminal purposes. Doesn’t sound that glorious anymore, right? They are brave souls with a lot of courage. Generally, most people avoid playing with the dead in graveyards because it can be spooky. That doesn’t change the fact that it is still an important job. This job is done whenever someone dies and chooses to be buried. This is a highly requested job because people pass away and at least each cemetery needs at least one gravedigger. This is another type of job that treats dead bodies and also a unique profession. Being an embalmer requires a specific skill set, they take care of the deceased by washing and disinfecting. They also replace the bodily fluids and gases with preserving agents, while washing and styling the hair and using restorative processes and makeup to create a natural appearance. These are only a few spooky jobs. Even though they don’t seem like normal office jobs, these professionals are still very important to our society. Have a spooky great day!